Leaving footprints in Korea Day 1 @ Hello Seoul! I am super excited to be going for this long awaited holiday but I am still down with the darn flu. Hoping to get well soonest so I can truly enjoy the holiday. So glad to be going to this faraway place with the bestie. 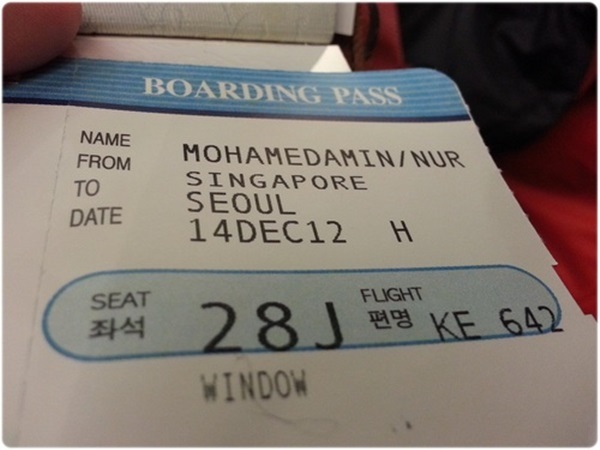 This is my first time stepping in Korea whereas its the second time for the bestie. This would be my first time experiencing winter too. Prior to this, some of my close friends did warn me about how Korea can be during winter and advised me to pack thicker clothes with me. Noted and point taken. Our boarding pass. 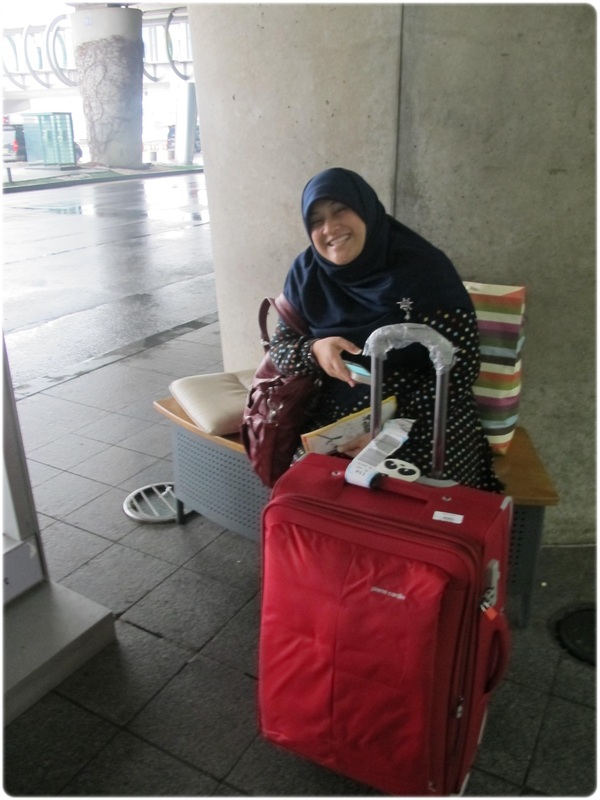 So glad that both our families are sending us off despite it being in the wee hours of the morning. After 6 hours of flight, we finally arrived! It was raining and it was 0 degrees but someone stubborn refused to wear the jacket!! I was already wearing 3 layers and a jacket! I think it was super cold to me mainly because I was still having the darn flu and the rain made it seem so much colder. 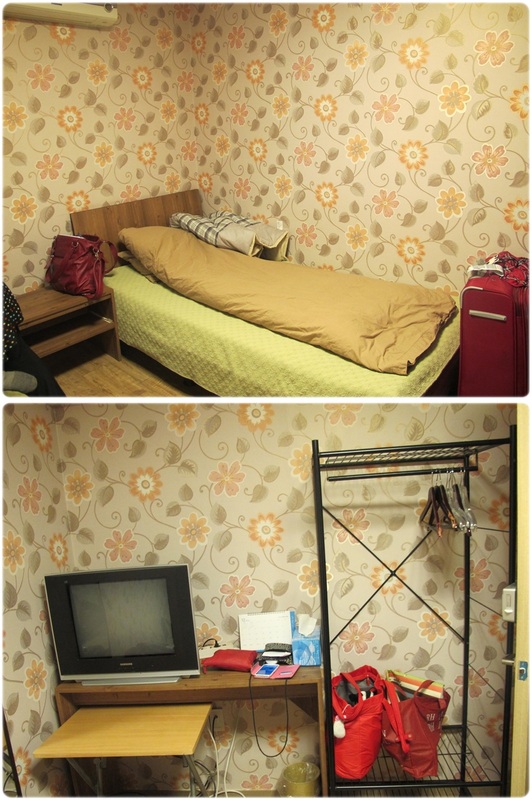 After the long bus ride and a cab ride, we finally arrived at our guest house. After resting for a short while and freshen up, we got ready to go out and look for food. 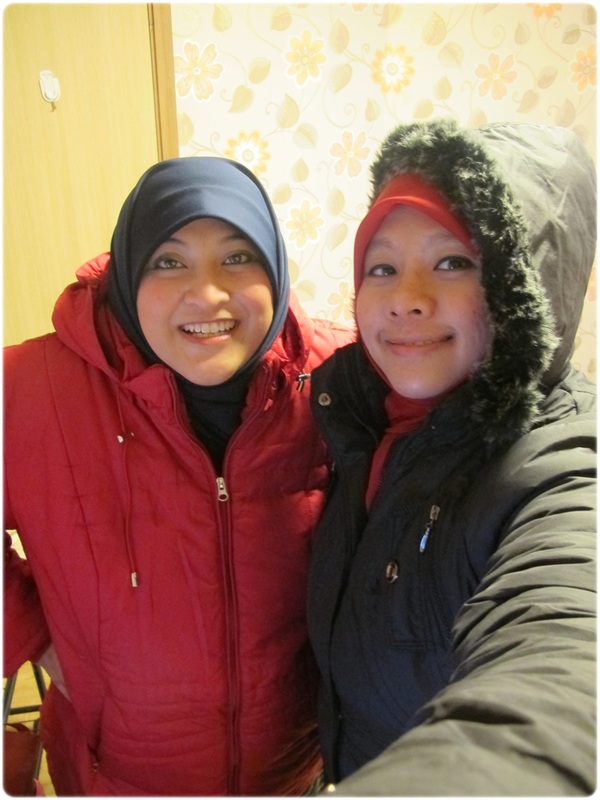 But before that, we were all geared up wearing 3 layers so we will not freeze. Lol. 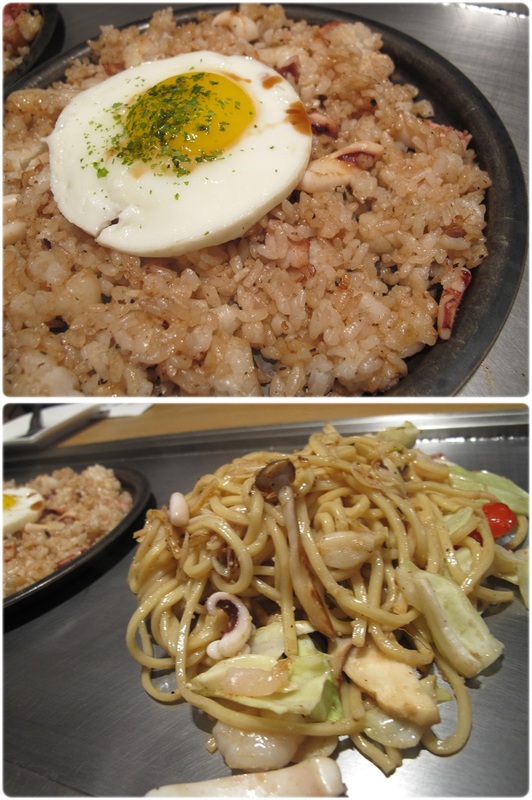 Food!! Actually it did not taste that good, not sure if its meant to be bland or my flu was hindering with my taste buds. It was getting late so we just hung around the area. 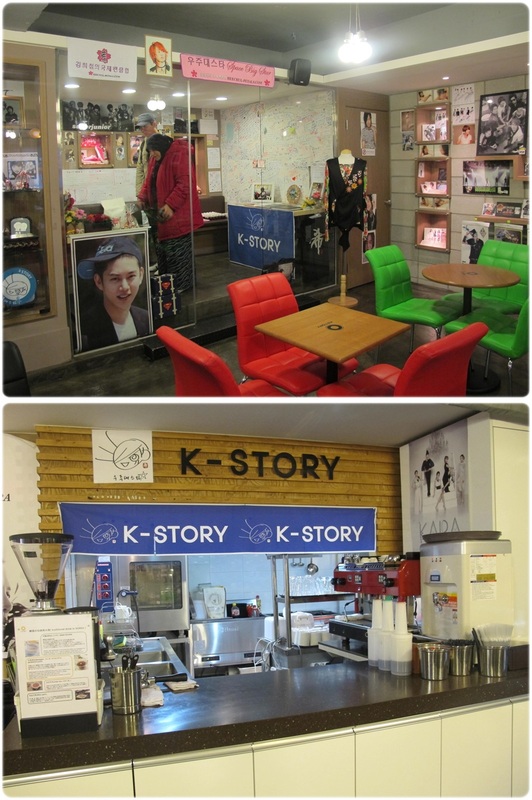 We visited the shop upstairs (from the restaurant that we ate in) named K-Story. Of course I was clueless about it. But bestie was excited, apparently it was her favourite SJ member and he likes cats. Ok, I like people who likes cats! Lol. We walked around for a short while and the place was crowded and there are really a lot of K-Pop stuffs selling everywhere. The clothes were all cutesy and nice too. Even though we were indoors, it was cold so everyone was wearing their jacket indoors. 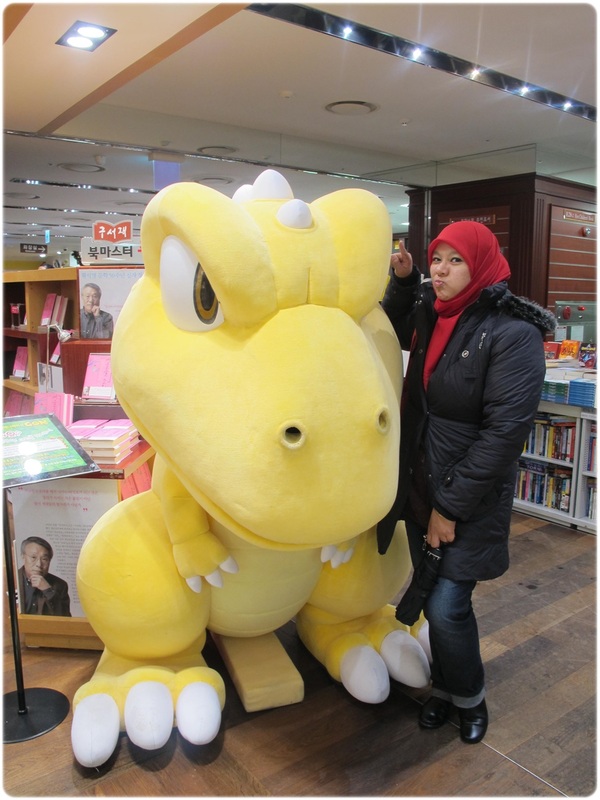 Found this cute yellow dinosaur, I simply had to take a photo with it so I can tag the Dinosaur friend back in Singapore. Haha. All the walking kinda made me tired because I am old and I was seriously in the wrong shoes, without my in soles. Plus, how can anyone sleep properly in a plane right? 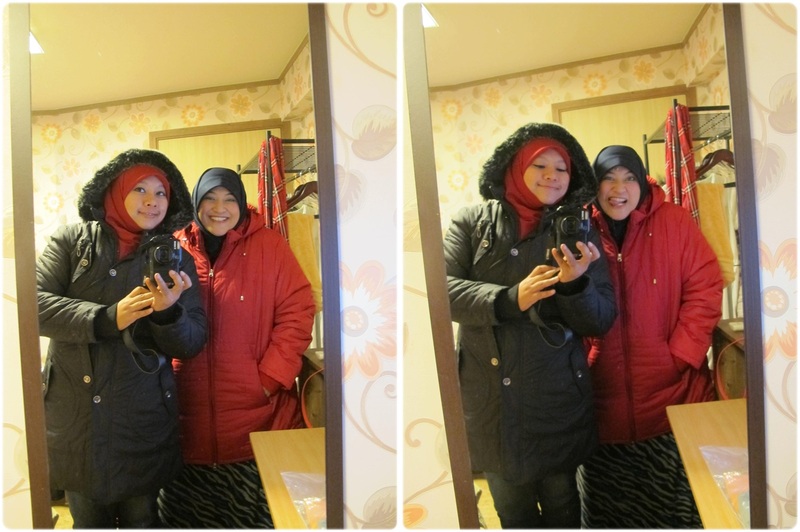 We wanted to go for the Seoul bus tour but because of the rain, the tourist guide advised us to come again on another day. Apparently, when it rains, it will be misty so going around to view the city will not be clear. After stopping for a drink, we headed back to our guesthouse to rest early so we can have an earlier day tomorrow! Have a wonderful time. Looks like you have the clothing for a cold holiday! Thank you! This was in 2012! I am in the process of transferring all travel entries from my personal blog to here and reminiscing at all the memories and the pics! Lol. That’s so kind of you to say. Made my day! Thank you.